12dB Fiberglass 4G LTE XLTE Antenna for Netgear DC112A-100NAS Dock. Coax Cable Length Options Available. Bulk Discounts for 12dB Fiberglass 4G LTE XLTE Antenna for Netgear DC112A-100NAS Dock. Coax Cable Length Options Available. 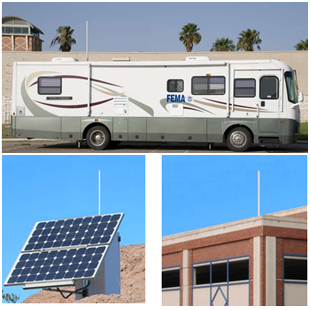 - Our Mobile Broadband Antennas - This Rugged Fiberglass Cellular M2M Data 2G 3G 4G LTE AWS VoLTE XLTE External Booster Antenna Has Been Approved and Sold by AT&T, Verizon, Sprint, T-Mobile, Cricket, Virgin Mobile, US Cellular, Telus, Rogers, Telstra and Other Service Provider Agents Nationwide / Worldwide. - Our Mobile Broadband Antennas - Approved / Purchased by FBI, US Army, US Navy, US Air Force, US Marine Corps, DEA, Department of Homeland Security, Bureau of Alcohol Tobacco Firearms & Explosives, IRS and Other Federal, State & Local Agencies Nationwide / Worldwide. - Nationwide Service - Lifetime Warranty - Satisfaction Guaranteed!! Lifetime Warranty - A Lifetime Warranty is given with AntennaGear Brand products. This warranty is for replacement of like items only. An item no longer available from us will be replaced with a similar, available item. This warranty is valid only for the original buyer - its not transferable. Damaged or abused items are not covered by this warranty. Shipping charges are not refundable unless and item is received defective or in error. We make no implied warranties, including the implied warranties of merchantability or fitness for a particular purpose with respect to any goods or services sold to you. 1.) Contact us about the problem youre having. 2.) Obtain RMA - An RMA & Original Invoice are Required For Warranty Processing. 10dB Yagi LTE Antenna Kit for NETGEAR DC112A-100NAS. Coax Cable Length Options Available.